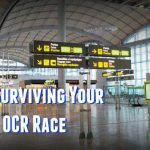 Home » Is this your next OCR shoe? World’s Toughest Mudder is a 24-hour obstacle course race. Due of the duration and the distance involved in this race, the Hoka Speed Instinct was the perfect candidate to test. 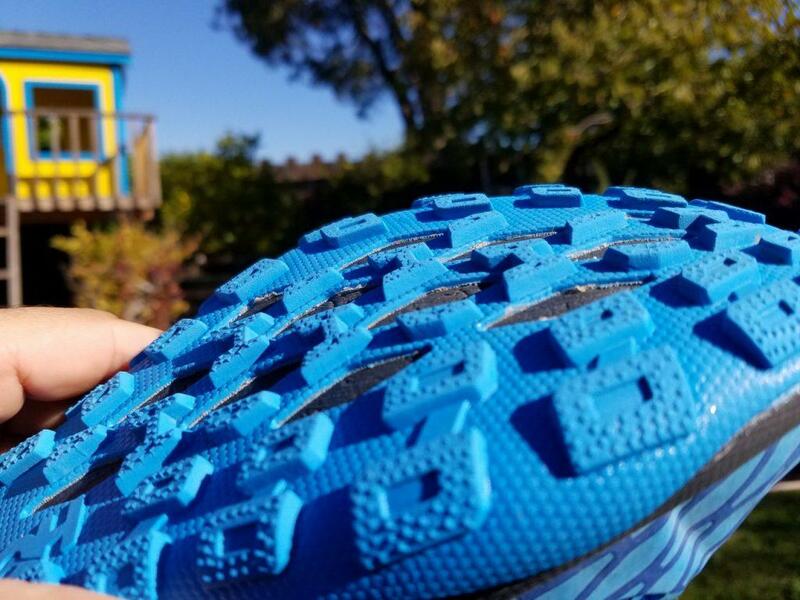 For athletes who use the Hoka Road shoe for speed based races, there hasn’t, to date, been a cross over to the trails that would work well for obstacle course racing. Most people think of Hoka and I think of the big marshmallow like foam at the bottom of the shoe. 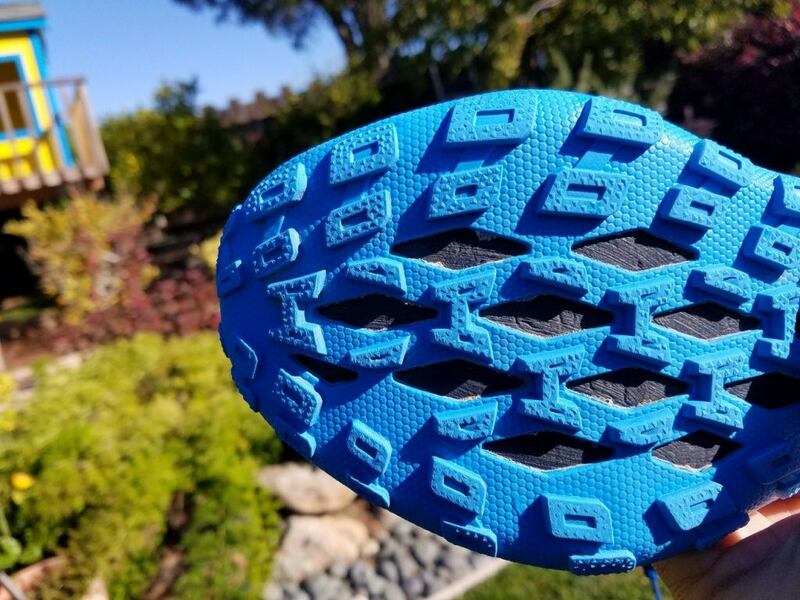 It’s because of this foam and the typically wide foot base that trail Hokas haven’t been ideal for obstacle course racing. First the foam causes the shoes to float when swimming, causing water crossings to be awkward; second, the wide foot base isn’t ideal for edging on obstacles such as rock holds or wall climbing walls. So how would the Speed Instinct hold up? 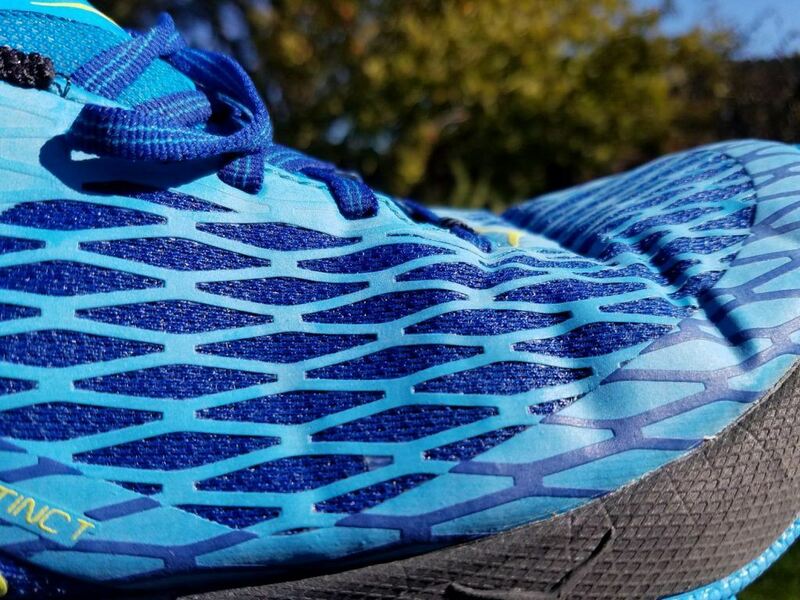 The Hoka Speed Instinct has a very narrow profile, much like that found in trail race shoes. Note: were talking about shoes for racing versus just running which defines a typically narrower and more agile design in the shoe. For racing and obstacle course racing, this is ideal as the more contact you have with the obstacles without the shoe getting in the way, the more successful you will be at the obstacle. Over the course of the 24-hour race, the Speed Instinct never failed to deliver on any of the 20 unique obstacles encountered. The rubber gripped the obstacles well, even when wet, and edged to perfection when necessary. Note: it did take a few miles to wear off the slicker coating on the sole of the shoe that came from the manufacturer but once this was done the rubber stuck well on all obstacles. In addition, due to the shoes narrow profile, there is very little to no slippage of the foot in the shoe during obstacle encounters. In this category, the Speed Instinct did extremely well. and aside from holding a little water in the heel padding and tongue, the shoes were relatively free of water within several steps. Therefore, the shoes worked extremely well in the wet conditions of an obstacle course race and would likely do so during wet trail races. Many obstacle course races have you navigating wide fire roads and not technical single tracks, but World’s Toughest Mudder provided a little bit of everything and ample opportunity to test whether the shoes held the rail or fell off. Due to the Speed Instincts, narrow design, directional lugs, heel cup support, and supportive lacing system, the shoes held to the trail like one would expect a race shoe to do. Cornering could be done with confidence and descents could be done quickly without the feel of losing your footing. This is the result of both good rubber and lug design combined with a well-fitting shoe. Furthermore, the extra cushion provided by Hoka One One, provided excellent heel strike cushioning on dissents and allowed for the shoe to remain supportive and shock absorbing through the duration of this 24-hour event. The cushioning never felt overly soft or “marshmallow-like” and was, therefore, never a problem on the trail. The shoe never rolled or gave the impression that it would at any point regardless of the train it was on. 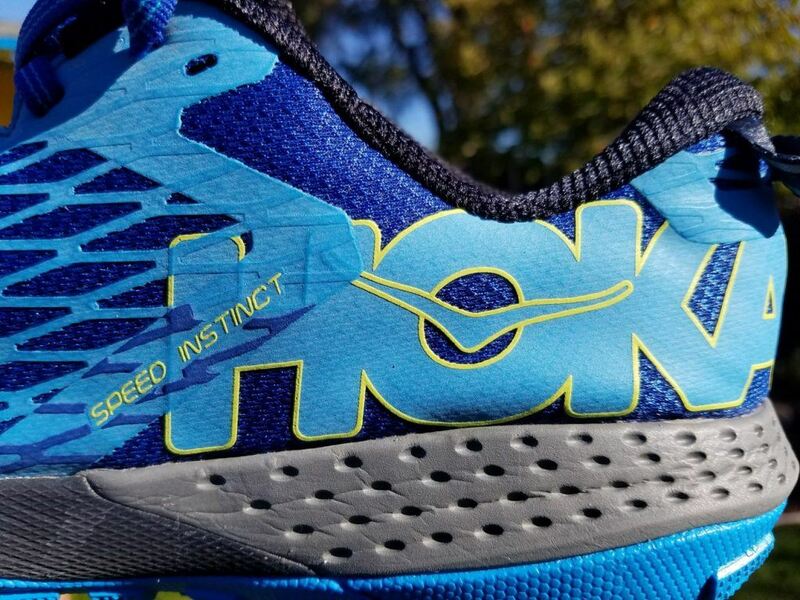 While other Hokas will very softly devour a rock, the Speed Sense handled rocks well while giving you a slight sense that there was something underfoot. This is all likely due to their Pro2Light technology, which is not found in the standard Hoka shoes and allows for the shoe to be a perfect trail hybrid. During our test the shoes encountered over 200 obstacles, over 60 miles of trail running, nearly 10,000 feet of elevation gain and loss, as well as 24 hours of constant pounding. If you are looking for a shoe that has more cushion but all the benefits of a standard trail racing shoe, we highly recommend slipping on a pair of the Hoka One One Speed Instincts. 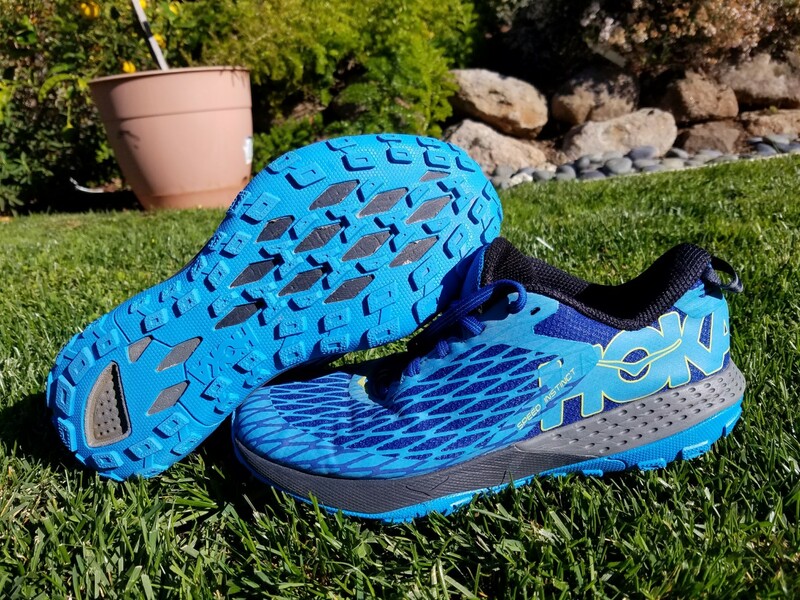 The shoe is not only ideal for runners who use Hoka street shoes and want a shoe for the trail but for the racing ultramarathoner or racing obstacle course racer. Note: King’s camps and fitness and Mike King were not provided these shoes by the manufacturer or paid for testing and provide this review to help others make decisions when selecting products based on our real-life field tests.